Easter is such a fun holiday to make dessert for. 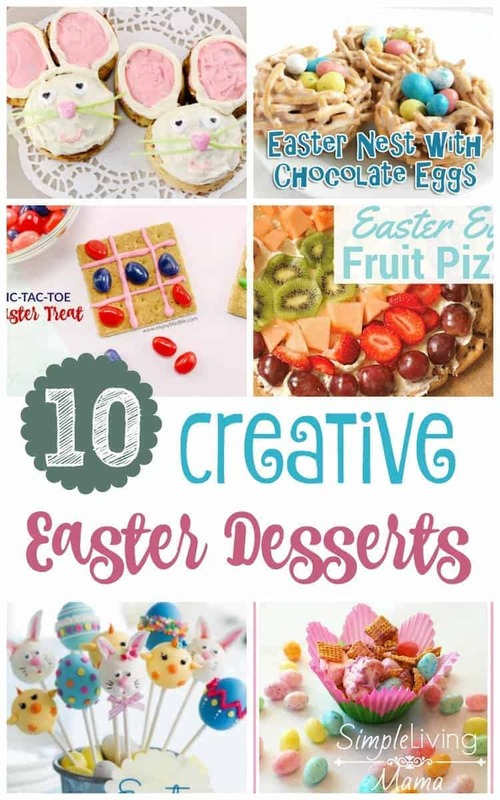 There are so many clever and cute ideas out there for turning regular, ordinary food and candy into a fun Easter dessert! Here, I’ve gathered ten of my favorite Easter desserts. There’s bound to be something you would love to make for your family or just for your kids to have a fun snack! These ideas are clever and creative! These Easter Bunny Cinnamon Rolls by Simple Living Mama are incredibly cute and surprisingly easy to make! Easter Cake Pops by Spaceships and Laser Beams are sure to be a hit with the kids! This Easter Snack by Mess for Less looks like yummy Easter candy in a flower. 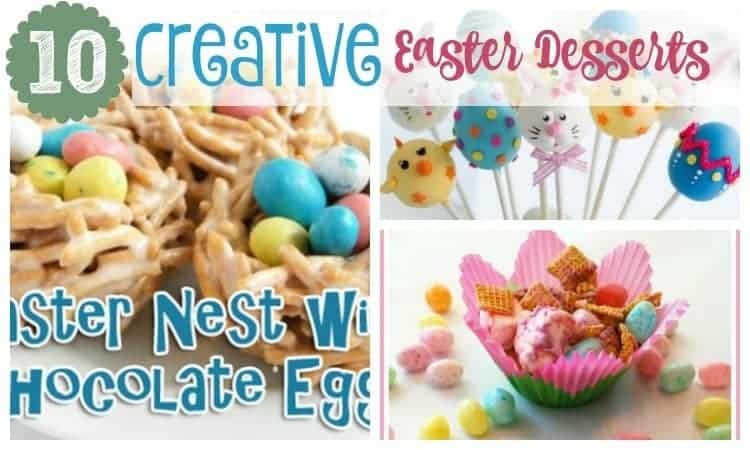 Easter Nest with Chocolate Eggs by Faith Filled Food for Moms – who can turn down chocolate eggs? Easy Easter Stencil Cookies by Spaceships and Laser Beams look like a fun activity to do with the kiddos. Bunny Treat Cups by Pre-K Pages are easy enough to make for your kids’ snack! Easter Egg Fruit Pizza by Simple Living Mama will be a hit at your Easter gathering. This Tic-Tac-Toe Easter Treat by My Joy-Filled Life is a fun way to have a treat and a game all in one! My boys are going to love these Bunny Peeps Race Cars by Simplee Thrifty. Rice Krispie Nests by Crafty Morning combine a classic treat with Easter! So, tell me. What is your favorite Easter dessert? Got any great ideas? Leave them in the comments!